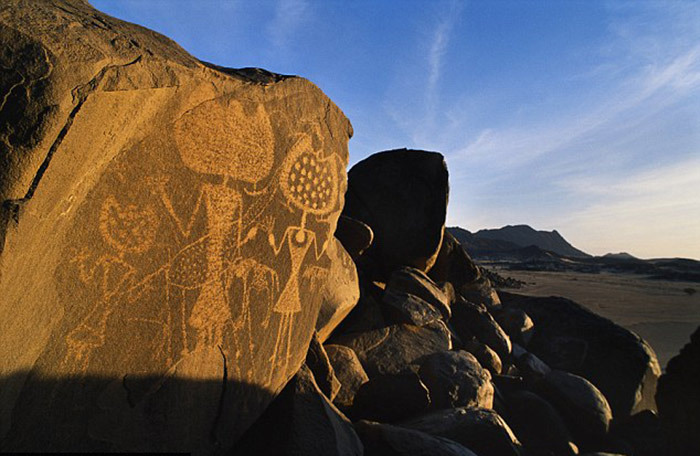 Nasa book suggests that ancient rock art could have been created by extraterrestrials. A new book details the Search for Extraterrestrial Intelligence (Seti). In it the authors discuss the methods through which we might find aliens. These include searching for signs of life on planets or finding messages. The book details some of the challenges ahead for making first contact. But ultimately the authors say it is something that might happen one day. Could it be possible? Hmm...how much of the past history was influenced by extraterrestrials? I don't rule this out that aliens visited our ancestors and thus we have stories of the gods and such heroes as Hercules & Perseus handed down over several thousands of years. Did you ever think that the story of Atlantis might have come about by aliens settling on earth and telling of the fate of their ounce great planet? How about Time Travelers from the distant future?